Professional ceramic nail file. This sturdy and long lasting. 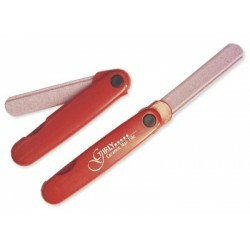 micro crystal nail file, produced out of a special ruby corundum, gently smoothes and seals the nail tips. 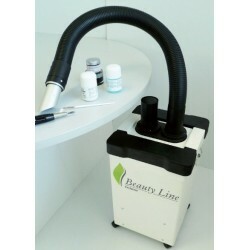 Can be easy sanitized, therefore hygienic. Two-sided: coarse and fine. Folding protective case. 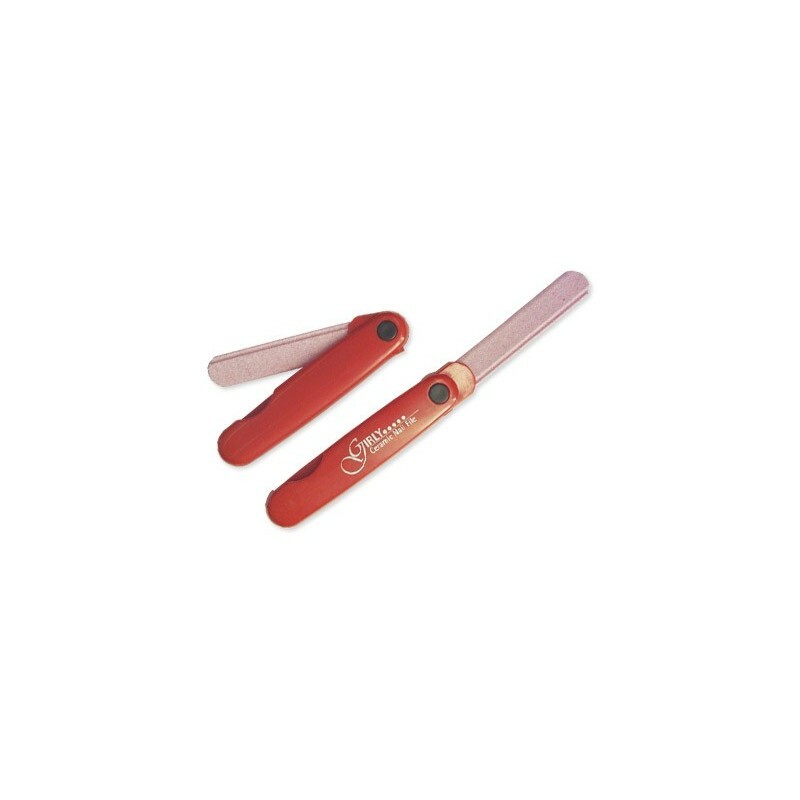 Perfect for use on delicate nails. Technologically advanced filing surface. Excellent files for beautiful results on natural nails.